i-screen provides health analytics and blood testing services to help clients take control of their health when it matters most. We were asked to create a user-friendly, health-focussed web app, and an elegant brand identity to match. 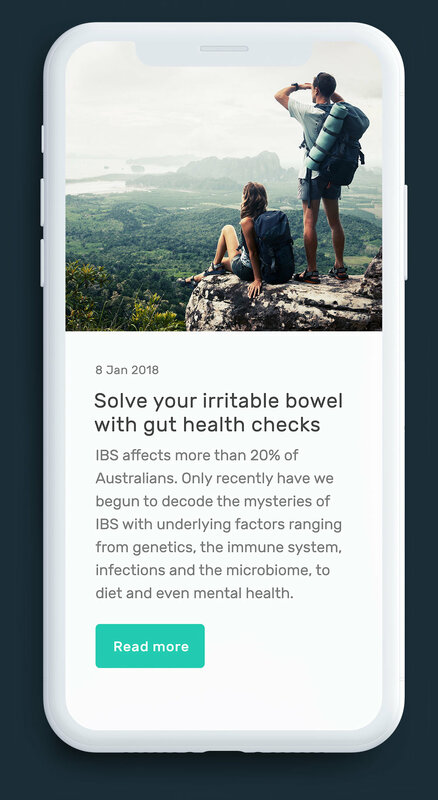 The app brings technology and medical expertise together allowing clients insight into what’s going on in their bodies. Our website isn’t just our marketing front end; it’s also our product. Fixate took on the challenge to successfully deliver on some pretty complex requirements. Fixate was asked to create a brand for a medical startup looking to show health screening in a positive light. From there, the relationship grew into designing and developing a full web app. All the way from conception to development, we partnered with i-screen to create a fully functional and HL7 (Health Level Seven International) accredited app. Customers can now access important information about their health, and keep track of key changes online. The app allows customers to order medical tests online and view their results securely through their personal dashboard. Test results are complete with advice from experienced medical professionals, helping customers make better health decisions, avoid preventable illness, and work towards optimum health and well-being. 5 team members collaborated with the client, with the i-screen brand being developed alongside the UX (user experience) strategy. The next step was to tackle the design of the interface, and get started on architecting the web app. The result is an intuitive interface that facilitates the flow of information between medical experts and patients, providing a hassle-free way for customers to take control of their health. The app runs in the cloud, and makes use of a number of services allowing for continuous delivery of new features. This is how we were able to develop and ship iterative versions of the product, proving instrumental in i-screen being able to launch, procure funding, and close customers early in the cycle.